Acne is caused by the effects of hormones on the pilosebaceous unit, consisting of a hair follicle, sebaceous gland, and a hair. The follicle becomes obstructed and an overgrowth of normal skin bacteria, Propionibacterium acnes, causes the destruction of the lining of the follicle. This process allows the follicular material to enter the dermis, causing an inflammatory response. Topical antibiotics work by killing the Propionibacterium acnes bacteria. This not only helps reduce the small infections in the pores but also indirectly keeps the pores open. Topical antibiotics have been around for a while without many changes to the formulations; here's a brief summary of each. All topical antibiotics must be prescribed by a healthcare provider. Clindamycin is the most frequently used topical antibiotic for acne, and it's available as a solution, lotion, or gel at 1% strength. It's applied twice a day to all acne prone areas. Clindamycin is generally well tolerated but may cause some irritation. Erythromycin is the second most commonly used topical antibiotic used for acne, available as a solution, gel, and ointment at 2% strength. It's applied twice a day to all acne prone areas. Like clindamycin, it's generally well tolerated but may cause some irritation. Erythromycin is safe for use by pregnant women. Tetracycline is not used very often as a topical treatment, but it is available as an ointment and solution at different strengths. Tetracycline contains sodium bisulfite, a sulfa derivative that can cause allergic reactions. It may also cause yellowing of the skin. Metronidazole is used frequently for acne caused by rosacea and is available as a gel at 0.75%. It's applied one or twice per day and is generally well tolerated but can cause irritation. 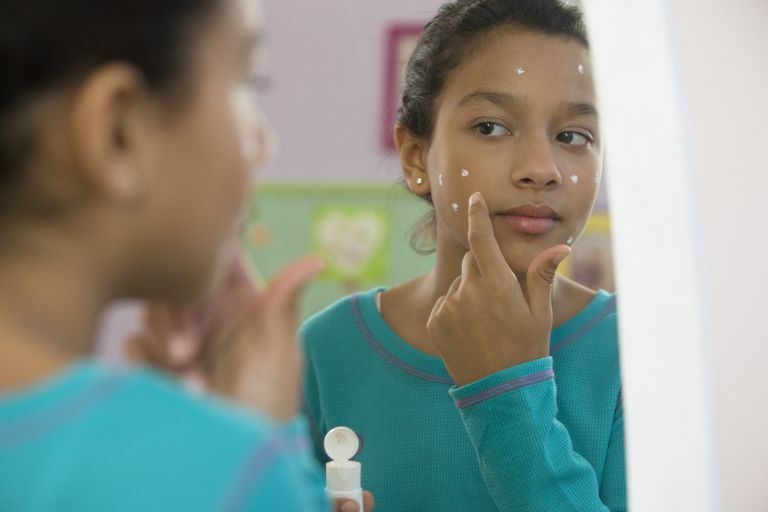 Is Clindamycin the Right Acne Treatment for You?